MONDAY: Get your dog a puppuccino from Starbucks. 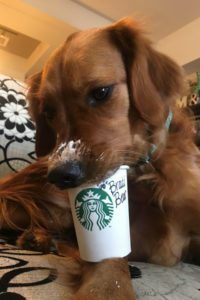 A puppuccino is an espresso-sized cup of whipped cream! No Starbucks near you? Try Sonic’s version of the same. Yum! 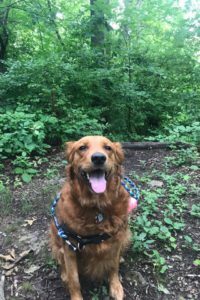 TUESDAY: Take your dog on a hike/walk somewhere NEW…take it from me, there’s nothing like new smells to smell. WEDNESDAY: Surprise your dog with a trip to your favorite local dog store. Most shops are pet-friendly and typically hand out free treats and belly rubs! And who knows? 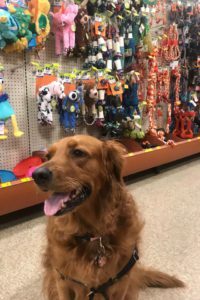 If your pup is a good boy (or girl), maybe they can even pick out their own toy to take home! THURSDAY: It’s not too late for one last swim! 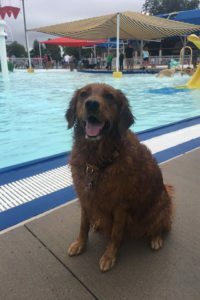 Take your pup for a splash in the water before those temperatures start dropping. Too cold where you are for a September swim? Pick a favorite activity of your own! FRIDAY: Try making your favorite 4-legged friend a homemade pumpkin pup treat! 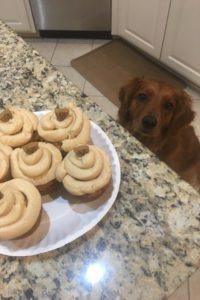 We dogs LOVE pumpkin, and even though we can’t drink a Pumpkin Spice Latte, there are tons of great recipes (Try All Recipes’ PB & Pumpkin Dog Cookies or Good Housekeeping’s Pumpkin Oatmeal Treats) out there for healthy pup-cakes and pup-sicles that can give your dog a little taste of fall. 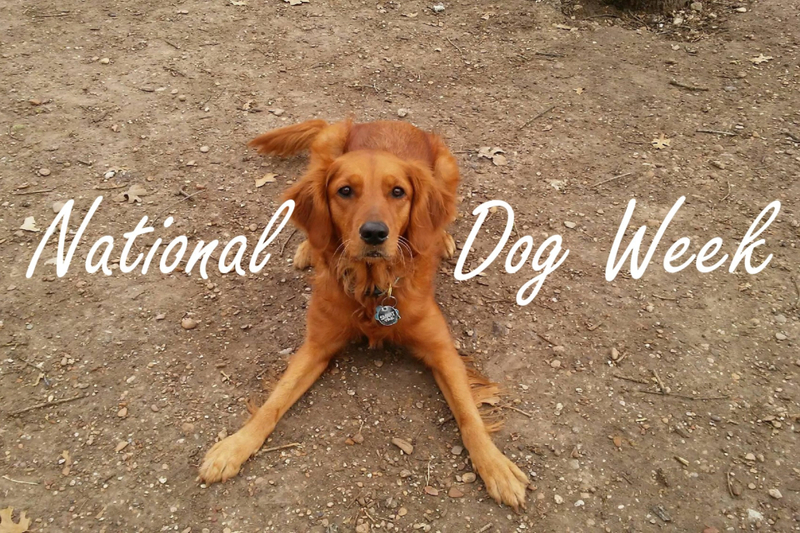 NOTE: National Dog Week is the last full week in September each year. Did you miss this year’s event? It’s never too early to start planning for next year!